If you are looking for a professional security solution for your commercial property in Barrow In Furness, then look no further than Automation & Security. They have been serving the North with electric gates, barriers and bollards for over 20 years. Working with the leading manufacturers in electric gate automation, Automation & Security supply, deliver, install and maintain all of their security systems. Whether it’s cantilever, sliding or swing gates for your car park, shopping centre, golf club or industrial premises, get in touch. 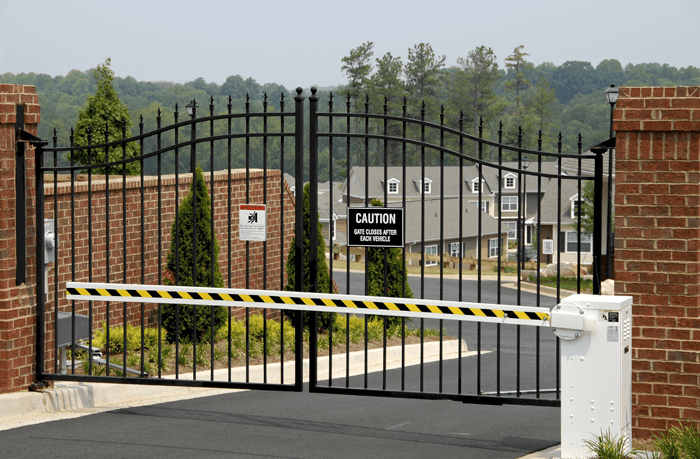 They have the experience to asses and guide you the correct electric gates for your premises. If you are looking for a way to manage traffic flow to your property in Barrow In Furness, then arm barriers are a great way to restrict access to your property. These can be either automated and linked to key fob or card with access control or manually operated. Whether it’s a gated community, car park or supermarket, they can help you manage traffic in and out of your premises. Bollards are a great solution for premises which may want to segregate areas between pedestrians and vehicles, perimeter security and anti-ram raid solutions or just for aesthetic reasons. Bollards can come in either retractable or fixed systems. Whatever your needs, Automation & Security always make sure to advise on the best solution according to your business and the aesthetics of your premises. For properties at risk of terrorism or ram raid attacks (such as military bases, banks and security sensitive premises) PAS68 security solutions offer the highest standard in security solutions. These anti-terrorism solutions are made to withstand impact from vehicles event at high speeds and Automation & Security are proud to be offer these products.